The GRE can be intimidating: you know you need to study to get a good score, but what does that actually mean? 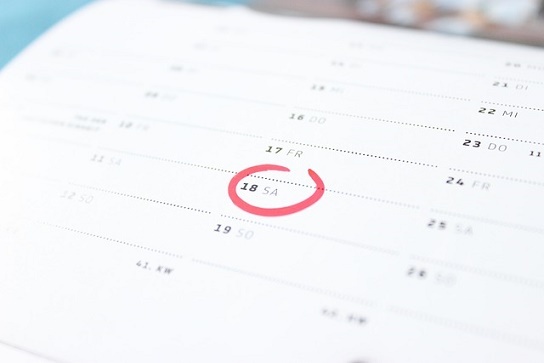 Should you spend two hours or two months prepping? How long should you study for the GRE? Knowing the correct amount of time to study for the GRE will help you maximize your score and avoid wasting time by over-studying. 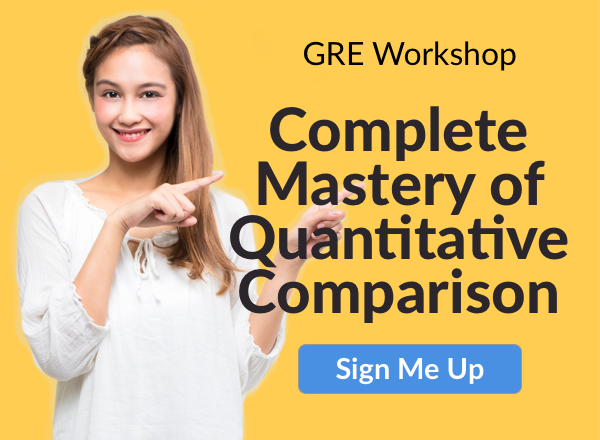 This guide will walk you through the exact process of figuring out exactly how long to study for the GRE, when you should start preparing, and how to create a study schedule. How Long Do Most People Study For the GRE? As mentioned above, there’s a wide variation in the amount of time people choose to prepare for the GRE. However, most people spend about one to three months studying a few hours a week for the GRE. This means the amount of studying for the GRE could range roughly from eight hours (studying two hours a week for four weeks) to 120 hours (studying ten hours a week for 12 weeks). That’s a wide range, and it also doesn’t account for the different ways in which people prepare for the GRE. People may take practice tests, read up on the different exam sections, skim old notes from school, buy and read a GRE prep book, or a combination of the above. So, the amount of time people spend preparing for the GRE and how they study for it can vary widely. How long should you study for the GRE? Read on to figure out your individual study plan. How Much Do You Want to Improve Your Score? In order to figure out how long to study for the GRE, you first need to set a goal score and figure out how far you are from it. First, research the average GRE scores of the schools you’re interested in applying to. Look for this information on the program’s Admissions page. Not all schools list this information, and, if you can’t find it, you can try emailing or calling an admissions person at the school directly to see if they can tell you more. Make a list of this information for each of the schools you’re interested in. Then, find the highest scores for both the Verbal and Quantitative sections. Add two points to each of these scores to get your GRE score goals. Your next step, if you haven’t already done so, is to take a GRE practice exam so you can get an idea of how you’re currently scoring. You can download software with two official practice tests to get started. Take this test timed, with only the breaks that are given, and with minimal distractions in order to get the most accurate score. Your Verbal and Quantitative sections will be automatically scored, and there are scoring instructions for the Analytical Writing section. Now, compare the scores you got on the practice test with your goal scores. How many points away are you from your goal scores in Verbal and Quantitative Reasoning? (Analytical Writing is generally the section schools are least interested in). Below are estimates of approximately how many hours you need to study in order to raise your score by a certain number of points. These numbers indicate how much you need to study to raise your GRE score by that many points across BOTH sections. So, in 40 hours, you could raise your score for each section by about 2.5 points (5 points total). These are very rough rules of thumb. Depending on your individual circumstances, you may need more or less time – we’ll explain more below. If you’re looking to improve your score more than 30 points, know that it will probably be difficult and take a lot of time. The GRE tests knowledge you learned from over a decade of school, and it’s hard to build up the content and skills you need to raise your score by that amount. 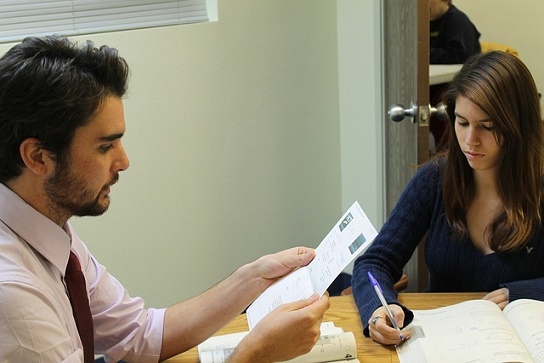 If you are hoping to make large improvements in your GRE score, you may want to look into hiring a tutor to help with your studying. A tutor may help you make large improvements in your GRE score. How Long Should You Study for the GRE? Now you can figure out exactly how long to study for the GRE in order to get the score you want. It may seem like there are a lot of steps, but they’re quick to go through, and by the end you’ll be able to create a customized GRE study schedule. If you haven’t already, use the guidelines above to get the total number of hours you need to study based on how much you want to improve your score. Remember, you can raise your score by about 5 points per 40 hours of prep. So, if you want to improve your score by 10 points, you’d need to study 80 hours. You may need to tweak the total number of hours you need to study based on your circumstances. If you’ve already studied a lot, you may want to add another 10-20 hours to the time you need to study since it will probably take you longer to make significant progress. The more studying you’ve already put in, the harder it will be to raise your score. The first few hours of studying you do for any subject are always the most productive because you’ll get the “low-hanging fruit”: equations you were mixing up, careless mistakes you were making, a certain question type you had no experience with etc. Also account for how quickly you pick up new material. Can you pick up and retain information the first time you come across it, or do you need to see it a few times before it really sinks in? If you’re a fast learner, you may want to decrease the number of hours you need to study by about 10-25%, while if learning new topics usually takes you longer, you may want to increase the time by 10-25%. Finally, the better the prep materials you use, the faster you’ll improve. If you’re using unrealistic practice questions or bad teaching materials, you’ll make less progress. If you use top-of-the-line realistic questions with lessons that teach you great strategies, you’ll be much more efficient. Next, figure out how many hours you can set aside each week to study for the GRE. Make sure you’re realistic when you choose this number because, if you overestimate, you could end up burned out and frustrated, which could lead to you not doing as well as you’d like on the exam or abandoning your study plan all together. If it’s summer and you have a lot of free time, you may be able to fit in 20-40 hours of studying a week. However, if you’re already balancing school and/or work, 5-10 hours of GRE study a week might be more realistic. To a certain extent, the more hours you can study a week, the fewer overall weeks you’ll have to study. However, don’t think that cramming 40 hours over a weekend will have the same effect as spreading that studying out over several weeks. If you try to fit a lot of studying into a single day, you’ll probably wear yourself out and stop retaining information after a certain point. Similarly, if you only study an hour every week or two and stretch your studying over a long period of time, you’ll probably forget what you learned at the beginning by the time of the GRE. Here’s where you figure out how long you need to study for the GRE. Take the total numbers you need to study and divide it by the number of hours you can study each week. The number you come up with is the number of weeks you need to study for the GRE. So, if you need to study 90 hours (80 hours to improve 10 points plus 10 hours because it takes you longer to remember material), and you think you can study 10 hours a week, 90 divided by 10 gives you 9, which means you’ll need to study nine weeks for the GRE. If you think you may want to retake the GRE if you’re not happy with your first score, be sure to budget time for retakes. You have to wait at least 21 days between GRE tests, but, to be safe, give yourself four weeks for each retake so you’ll have enough time to figure out what you did wrong and improve. For most people, two retakes are enough. To continue the example from above, if you needed nine weeks to prepare to take the GRE for the first time, and you want to budget time for one retake, you’d need a total of 13 weeks from when you start studying to when you take the GRE a second time. 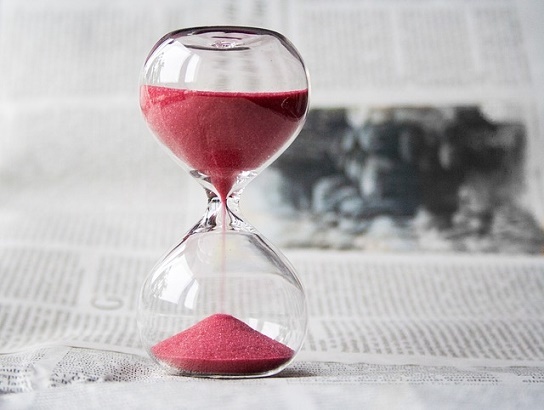 Once you’ve decide how long to study for the GRE, you’ll want to make sure you’ll have enough time to prepare for and take the exam before grad schools need to have your scores. If you’re not applying for grad school for at least six months, this step doesn’t apply to you because you’ll have plenty of time to take the GRE if you start relatively soon. If you choose which schools to send your score reports to at the test center immediately after you finish the GRE, it will take 10-15 days for those schools (and you) to receive your official scores, so, to be safe, be sure to take the GRE at least three weeks before deadlines. So, accounting for three weeks for schools to receive scores, the person in the example would need to begin preparing for the GRE 16 weeks before their first application deadline (9 weeks to prepare for the first exam + 4 weeks to prepare for a retake + 3 weeks for schools to receive the scores). What if you can’t fit in your studying before school deadlines? There are a few things you can do. First, if you factored in time for retakes, you can decide to prepare really well and only take the GRE once, although there is more risk involved. Second, you can try to see if you can fit in more hours of GRE prep each week. The more hours you can study each week, the fewer weeks you’ll need to study for the GRE. Once you know when you need to begin studying and how long you’ll need to study, create a study schedule so you can track your progress and reach your score goals. First, try to schedule your study times for the same times each day or week. This will help you plan the rest of your schedule, and you’ll be more likely to do the studying you need to if it’s always at the same time. When you study, remember to take regular practice tests, about every month or so, to track your progress. You’ll also want to set goals to achieve at the end of every study period. You could have daily, weekly, or monthly goals depending on your schedule and what works best for you. The goals could be covering a new topic or increasing your score a certain number of points on a practice exam. Some people study months before they take the GRE, while others don’t prepare at all. However, to get your best score, you need to know how long you should study. After figuring out average GRE scores for the schools you’re interested in and taking a practice exam, you’ll know how many points you’ll need to improve in order to meet your goal scores. Take into account how busy you are, when school deadlines are, how quickly you study, and how much you’ve already studied in order to fine tune how long you need to study for the GRE. Developing a study schedule once you’ve figured out how long you need to study will help you track your progress and meet goals throughout your preparation. Want more information on the GRE? Check out our guide to everything you need to know about the GRE, including how long it is, what it covers, and how you should prepare. Once you’ve decided when to take the GRE, how do you register for the exam? Read our step-by-step guide to GRE registration for everything you need to know. Thinking about taking a GRE Subject Test? Learn who should take them, how important they are, and how you can prepare. What score can be considered good for GRE?? Previous Previous post: How Long Does It Take to Get GRE Scores? Next Next post: What Are GRE Subject Tests? Should I Take One? GRE General Info	What Are GRE Subject Tests? Should I Take One? GRE Logistics	How Long Does It Take to Get GRE Scores?